In recent years, 3D modelling has made inroads into many disciplines and in the not-too-distant future, these skills will be essential for those entering a wide range of professions. In medicine, these technologies have enabled the rise of bioprinting which aims at building organs suitable for transplant into humans. In the kitchen, Hersheys has teamed up with 3DSystems to create a 3D printer that can build objects out of chocolate. 2014 will also see the first 3D printer shipped to the International Space Station. 3D models are used by the architects and engineers that design so much of the world around us, from the buildings we live and work in to the cars we drive and the bicycles we ride. They are used in the design of the clothes and shoes we wear and in the gadgets on our desks and in our pockets and purses. And of course, they are used in the entertainment industry, to create the movies we watch and the games we play. Scientists use 3D models in computer simulations to try to predict the future. In 2011, surgeon Anthony Atala printed a kidney on stage at the TED conference. In this phase of the project, you will explore a range of 3D modelling programs and consider a range of possible project ideas. By the end of this phase, you will complete a design brief that outlines what you plan to make, who it's for and why it is a worthwhile project. This house was designed using SketchUp. 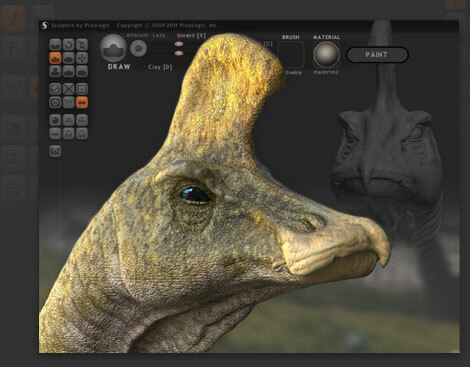 This dinosaur was modelled using Sculptris by Pixologic. Now that you have had a chance to explore some of the software that you will use to develop your project, it's time to think about what sort of project you would like to work on. You may want to look through the websites and forums for some of the above software for ideas. Many of these programs will include sample files that will get you thinking. You may also want to check out some of our favourite DIY websites like Makezine or Instructables. For 3D printing ideas, you should check out Thingiverse. In this section, you will write up your 3 best ideas as project possibilities. For each one, you will explain what you would make, who it might be for and why it is worth doing. Then, you will get feedback from your peers to help you make your decision. You will list the strengths and challenges of each idea. In this section, you will explain your reasoning behind your final choice. Based on the feedback you got, you may have made changes to what you wrote above, so rewrite your idea here, once again, explaining the what, who and why. Now that you have made your final choice, it is time to begin developing a plan for how you will get there. Some questions will need to be answered. What software will you need? What specific skills will you have to learn? List some guiding questions (5-8) to help you organise your plan. The Design Specifications for your project are the non-negotiables. These are the basic requirements for the project. They will come out of the purpose of the project. For example, if you are designing a 'dream house' for your family, you know that it will need to include a bedroom for each person in the family. 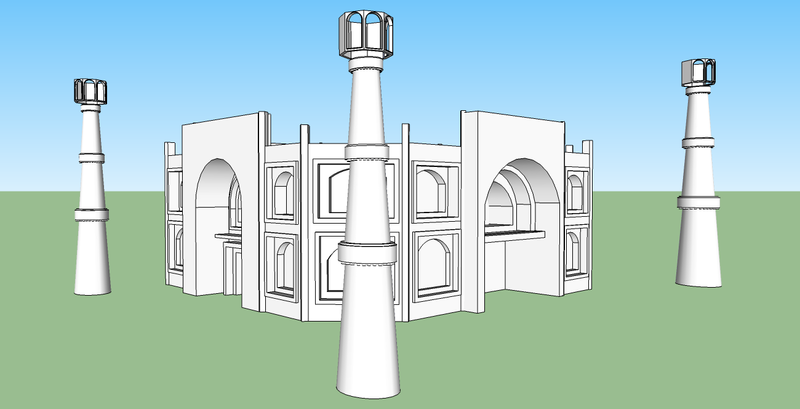 It will have a kitchen, bathroom etc... On the other hand, if you are planning to 3D print a model that will go on your desk, you will have size requirements based on the build platform of the 3D printer. The model will need to be free-standing and so on... Make a list of 5-8 Design Specifications for your project. If you go forward with the first idea that comes into your head, you are missing an important opportunity. On the other hand, by giving yourself options, then getting feedback on your ideas, you are much more likely to come up with a quality product--particularly if you get feedback from your members of your target market. In this section, you will develop a range of possible design ideas in the form of sketches (at least 3 unique designs). Drawings should be neat and clearly labeled where needed so that they can be understood by others. For each idea, write a short paragraph that outlines its strengths and the challenges you may encounter in developing it. Get feedback for each design and include that as well. Once you have had some time to reflect on your designs and gotten some feedback, it's time to make your choice and get ready for the next phase of the project. Write a paragraph to explain which idea you choice and why. If you made any changes to your chosen design, be sure to include them and if necessary, make a new sketch. For this project, you will need to do a lot of learning on your own. In this section, include 3 unique sources of information to help you work through the next phase of the project. This may include tutorial videos, online documentation or a discussion forum for your chosen product. Provide some annotation for each source to explain why you selected it and how you feel it will be of help to you (a short paragraph for each should do.) In the Creating the Solution phase, you will be expected to consult these sources when you encounter difficulties before asking your instructor for help. the steps. Most try to break a project down to around 6-8 steps. If you run into any difficulties along the way, be sure to include those and the solutions that you found for them. These can be 'tips' for the reader, so that they don't run into the same problems with their projects. Cycle. It is OK to make changes. This is all part of the process. But be sure to explain what you changed and why you changed it. This is the evidence of learning that we are looking for in your written work. Summarise the feedback that you got about the project. Talk to members of your target audience/market. What did people like about it? What didn't they like? Do you agree? What is the next step? (i.e., Print it on a 3D printer? Upload the model to Google Earth?) With a little more time, how would you change it? If you had some more time to work on it, or were going to build a new version, what could you do to take it to the next level? To what extent does it fulfil the specifications that you set at the beginning? improve the quality of your work on future projects? This unit was created by Ben Cooperman for Grade 7 and 8 MYP Design classes at the Canadian International School of Singapore.